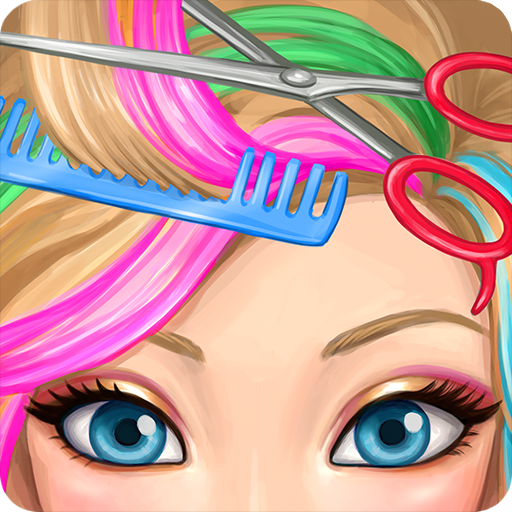 Run your own Hair Salon! Customers are looking for a new hair style and you are the one to give them the haircut of their dreams! With Hair Salon Makeover, you get to scissor cut, curl, color, and style hair! Best yet, the style is completely up to you! To play, just pick one of the cute characters. Then, wash, shampoo, and dry his or her hair. Now you can cut, shave, comb, brush, curl or straighten the hair. Epic I love it 5 stars cause you can freely play and don't have to listen and do the same hair styles over and OVER again but this game is completely free play PLAY DIS. ★★★★★ - Manda L.
My younger sister begged me to play this game every day! It is a perfect game for kids!! ★★★★★ - Stephanie D.